Oh Lord! Oh, "Give me Liberty, or give me death." Presumably a newspaper insert, this broadside was circulated around the City of Philadelphia in 1885 to celebrate the return of the Old Liberty Bell from New Orleans, Louisiana. This trip marked the Liberty Bell's first trip as a venerated guest exhibit to a world's fair in the United States. 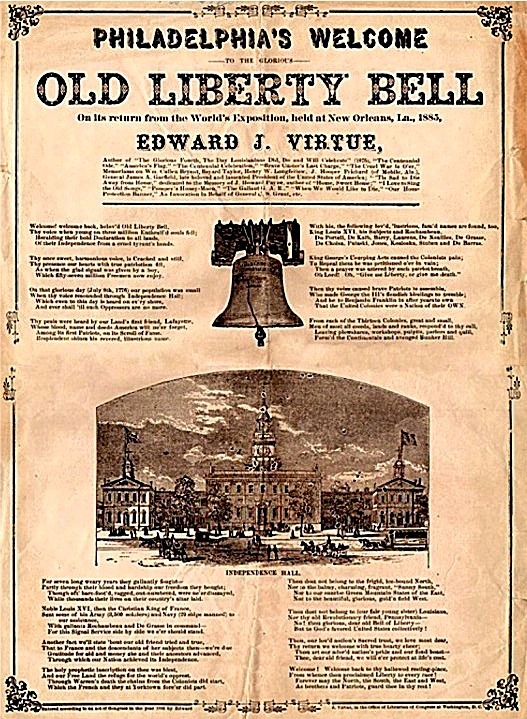 The broadside below contains a poem by Edward J. Virtue written for the Bell's honor. Welcome! welcome back, belov'd Old Liberty Bell. Of their Independence from a cruel tyrant's hands. Which fifty-seven million Freemen now enjoy. And ever shall 'til such Oppressors are no more. Among its first Patriots, on its Scroll of Fame. Resplendent shines his revered, illustrious name. King Louis XVI, his Subjects and Rochambeau. De Choisa, Pulaski, Jones, Kosioska, Stuben and De Barras. That the United Colonies were a Nation of their OWN. 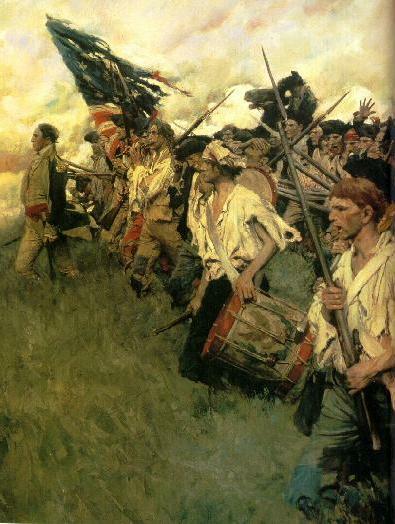 Form'd the Continentals and avenged Bunker Hill. While thousands their lives on their country's altar laid. For this Signal Service side by side we e'er should stand. Through which our Nation achieved its Independence. And our Free Land the refuge for the world's opprest. Which the French and they at Yorktown fore'er did part. 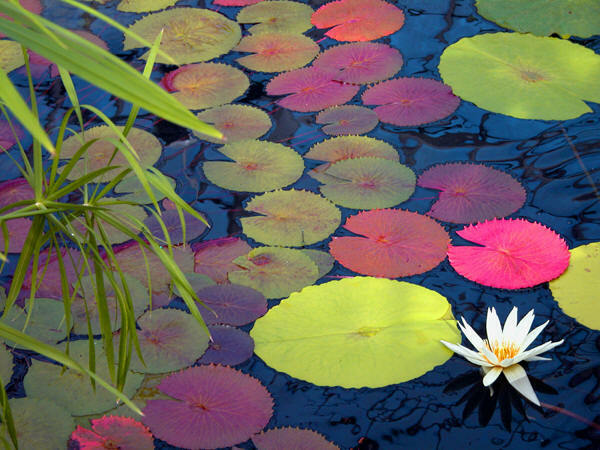 Nor to the balmy, charming, fragrant, "Sunny South,"
Nor to the beautiful, glorious, gold'n field West. But to God's favored United States collectively! Thee, dear old friend, we will e'er protect at life's cost. From whence thou proclaimed Liberty to every race! As brothers and Patriots, guard thee in thy rest!